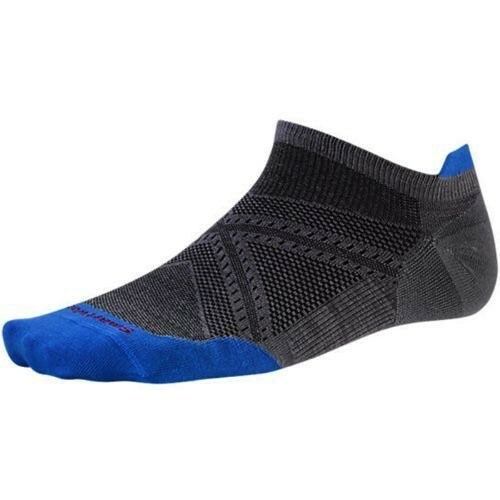 Benefits -PhD -4Degree Elite Fit System -ReliaWool -Mesh Venting -Ultra light cushion Features -Virtually seamless toe -Achilles tab -200 needle construction provides highest knit density while maintaining ultra light weight -1.5” overall height -Sock Height: Micro -Made in USA of Imported Yarn: 54% Merino Wool, 42% Nylon, 4% Elastane Care Machine Wash Warm Gentle Cycle. Do Not Bleach. Tumble Dry Low. Do Not Iron. Do Not Dry Clean.